Order must be placed 2 days before the delivery date. HK$100 extra charge for rush order and HK$50 for order cancellation. Order confirmation will be send to you via E-mail. Free delivery to all MTR station neighborhoods. For areas outside of the MTR network, additional delivery charges may apply. Delivery charges vary for Taiwan and North America. Taxes in different parts of Canada and U.S.A.
Fax the deposite receipt to (+852) 2374-6919 after the transaction for verification. All transactions will be charged in HKD. Prices shown in USD are for reference only. There may be a shortage of the flower supply around Valentine's Day due to extremely high demands. Flower prices are subject to change between Feb. 10~15. No discount and no rush order around Valentine's Day. Flowers delivered will look similar to the pictures shown on this web site, but may not be exactly the same. We reserve the right to substitute different flowers due to weather conditions and seasonal availability. Joyful Flowers reserve the right to refuse unreasonable request and any order that beyond our ability. All prices of flowers and gifts are in HK Dollar. Prices are subject to change without prior notice. Please note that purchases are payable to "Joyful Flowers". Orders will be fulfilled only with full payment received. No cancellations are allowed within 24 hours before delivery. Should there be a cancellation, the cost of the order will be forfeited. Should a particular flower or merchandise be out of stock, Joyful Flowers reserves the right to replace it with another of an equivalent or higher value. Joyful Flowers will inform the customer of the change if major changes have to be made. The recipient of the order made is not present at the address given and there is no one else present to receive the delivery on behalf of the recipient. The delivery address is incorrect. Recipient's telephone number is not provided or an invalid number is given. In the above cases, we will not arrange refund to customers. Addition charge is necessary for arranging re-delivery of the order at a later date. In case of eventual non delivery, no request for refund will be entertained due to the perishable nature of the product and the costs involved. Refusal of any item by the recipient will still be considered as delivered and no refund can be made. In all cases, Joyful Flowers will try our best to deliver according to the requested time. However, Joyful Flowers will not be liable for any claims arising out of situations beyond our control such as natural disasters, acts of God, violent/warlike situations. Please note that during festive seasons (e.g., Valentine's Day, Mother's Day, Christmas, etc). where there is an unusually greater demand for delivery, we will try to accommodate your timing requests as practically as possible. We reserve the right to carry forward the delivery to the next day during festive seasons. * 100% Money-Back Refund Guarantee You may request 100% refund within 24 hours after goods delivery and normally the money will be refunded within 7 days and it will be credited to your next Visa or Master Card monthly statement (the exact payment date depends on your bank's refund processing time). No handling fees will be charged to the customers. All orders are processed through the SSL (Secure Sockets Layer) to protect your credit card and personal data. 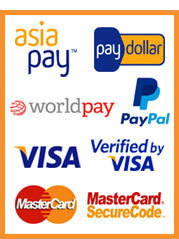 All credit card numbers submitted to us through our Web-site are for payment purposes only. Copyright ⓒ 2018 Joyful Flowers. All Rights Reserved.